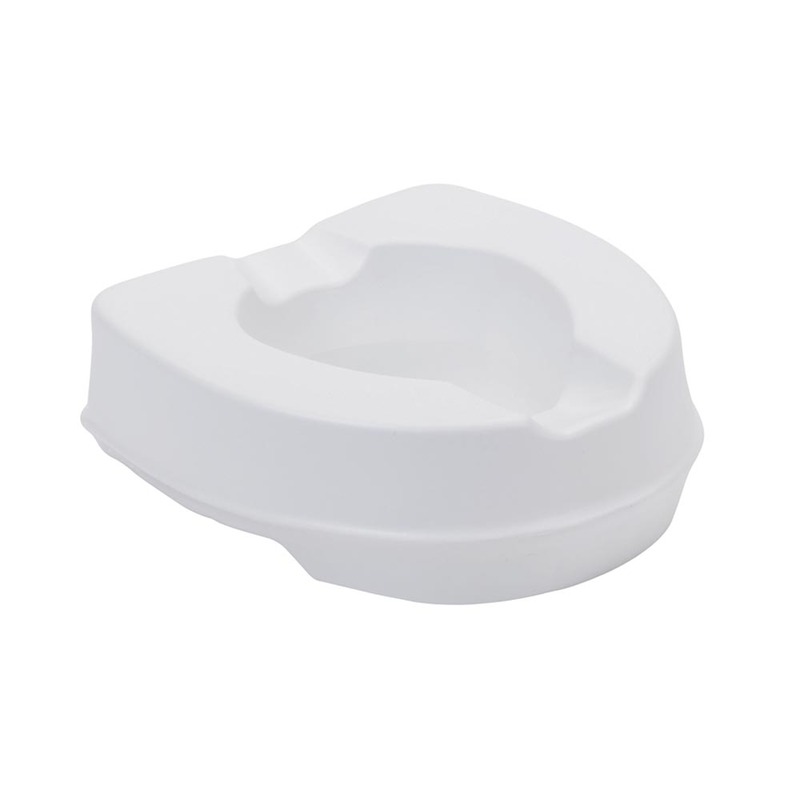 This 4" soft raised toilet seat is soft and flexible yet it is still tough. It fits onto an existing toilet bowl. It makes standing up and sitting down easier. This toilet seat is 10 cm (4" deep). It is made from E.V.A which is soft and flexible whilst still being tough. E.V.A also provides waterproof and antibacterial properties. It has cuts-outs in front and rear which increases access for personal hygiene. The raised toilet seat is designed to fit on to an existing toliet seat and makes sitting down and standing up easier. It does not require tools to fit the seat.